1959 - Gamblers employ various techniques to cheat at cards. 1959 - Boiler plate full scale models of the Project Mercury capsule are used for testing subsystems. 1959: High hotel diving board to swimming pool clips mastered by child waterman. 1959: Colorful box kite flying clouds background vertical above shot. CAPE COD, MASS. A cute little girl plays in front of the fireplace as she enjoys her gifts and presents on Christmas Day in 1959. 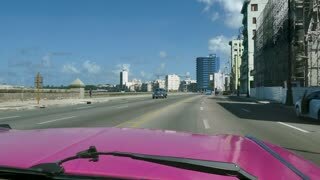 (8mm Vintage) 1959 Corvette Sports Car Driving Through Hood. A vintage 8mm reel-to-reel home movie film professionally cleaned and captured in full 4k (3840x2160 UHD) resolution plus post production including color correction, deinterlace, deflicker. 1959 - The 9C Atlas missile explodes on the launch pad. A family attempts to take a large family photo at the big summer family reunion in 1959. 1959: New Orleans bourbon street, jackson square, and stone crypts cemetery mausoleums. 1959: Boy running out of quaint Americana style house towards camera. CAPE COD, MASS. A beautiful festive scene of a Christmas tree and a lovely home decorated for the holidays during the Christmas season of 1959. A Grandmother prepares a delicious turkey for the family at the annual Christmas dinner in 1959. 1959: Women joins family picture of solemn angry clan. BUFFALO, NEW YORK Classic vintage 8mm film home movie professionally cleaned and captured in 4k (3840x2160 UHD) resolution at 23.97 fps in native h264 codec. 1959: Monkey pissed off trapped in cage yelling at humans around. 1959? A farmer signs for his new tractor, a boy without a license tries to drive the tractor, and a young man drives the tractor with his girlfriend in tow. During WWII, chemists create new synthetics as an alternative to plastic, ultimately leading to the creation of the basis for Tupperware in 1959. FBI agents are trained in the use of firearms in 1959. J. Edgar Hoover speaks about the role of the FBI in 1959. 1959 - An animal research lab and astronauts undergoing rigorous training Mercury space program. 1959 - Don Hart enrolls at New Mexico State University and takes the entrance exam for the White Sands Coop Program. 1959 - Don Hart enrolls at the New Mexico State University in the Missile coop program.